How do you carry out a proper furniture touch up from A to Z? 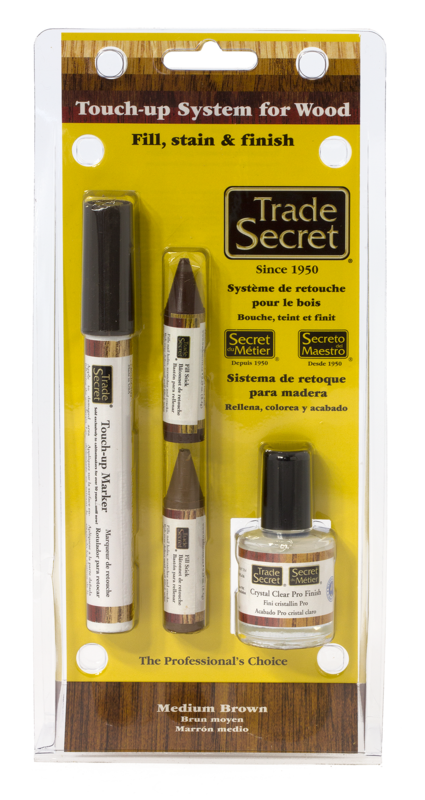 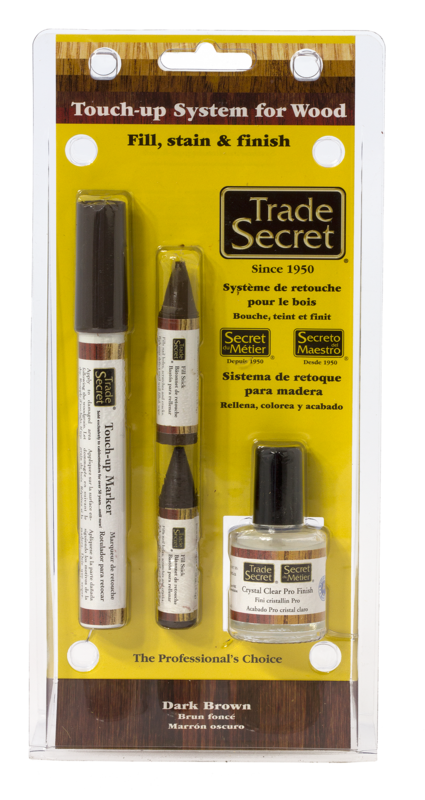 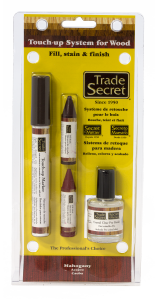 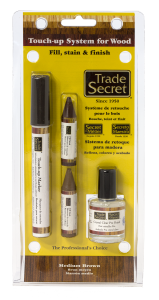 The Trade SecretTM Touch-Up System for Wood offers all of the tools necessary for repair scratches, gouges and restoring colour. 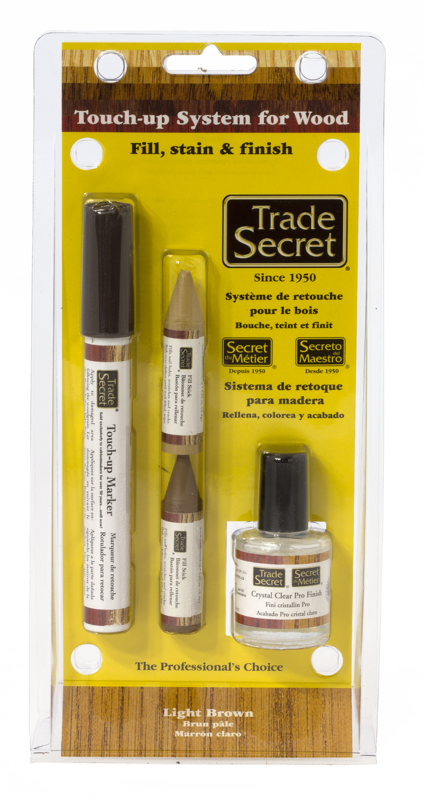 By combining the Trade Secret Fill Sticks, Pro Touch-Up Markers and Pro Finish in one handy kit, you can fill, stain and finish, all the while, delivering perfect and permanent repairs. 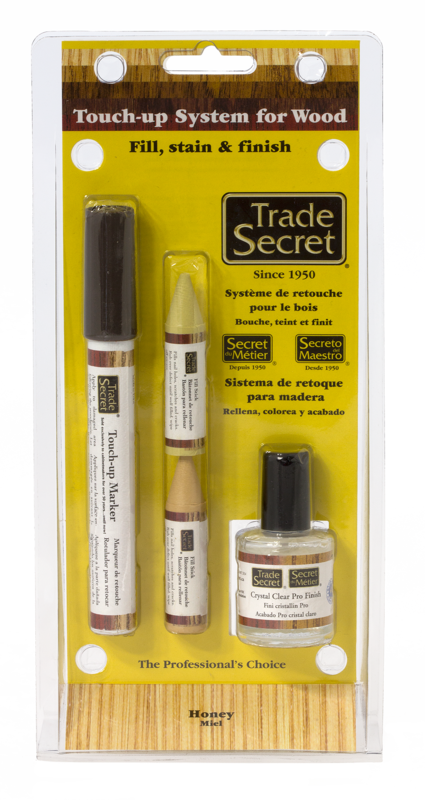 From the 5 colour assortment, you can tackle the majority of colours, finish types and standard touch ups that you’re likely to encounter. Impress your family and friends with your handy work and touch up prowess. 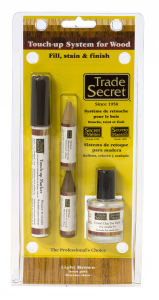 The fact that it was as easy as 1-2-3 will be our little secret.